Not everyone is into quartz watches. That’s understandable. 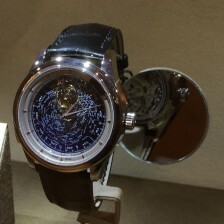 But anyone who appreciates history and technology would be interested in the story of the first quartz watch. At the end of the 1960’s, which itself was something of a golden era for mechanical watches, two competitors raced to bring quartz clock technology to the wrist: Seiko won and came to dominate the market with low priced models. But the quartz movements developed by Swiss consortium CEH are a whole different story. Their “Beta 21” movement (“beta” didn’t have such negative connotations in pre-software days) was developed for the creme of the Swiss crop: Companies like Patek Philippe, Rolex, and Omega all participated and brought products to market. But just 6,000 or so of these early movements were ever made before the group moved on to Beta 22 and their own movements. One of the participants was Longines, still a respected name, and we have here their first product: The Quartz-Chron. 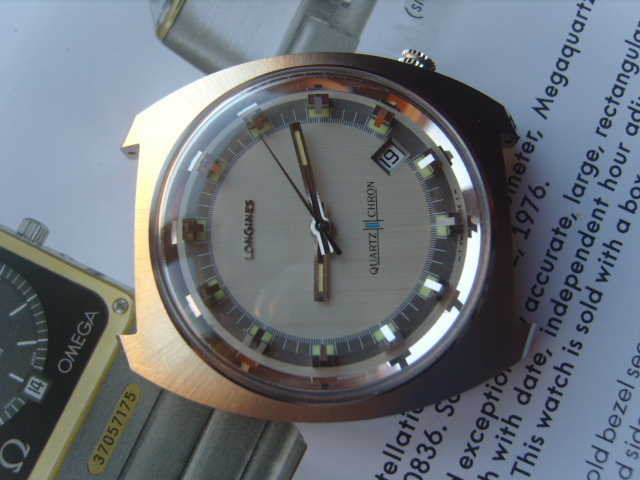 Rather than a straight Beta 21, the Quartz-Chron was something of a hybrid, akin to Bulova’s Accu-quartz. 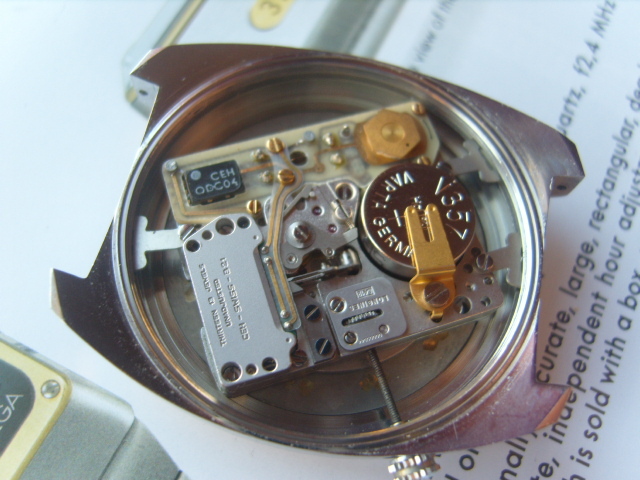 It used both a quartz timer and tuning fork for timekeeping. And it was a very large movement, as seen below, making for an oversized watch (for the time). This fine-looking Quartz-Chron is offered by a Watchuseek seller in Poland, with one positive feedback mention and many other historical oddities on offer. He’s asking $3,000, which is a pretty penny but this is quite an unusual watch! He shows an email from Longines verifying the serial number and production/sale date, so that’s a step in the right direction.